A flat silver tipped wand is shown. 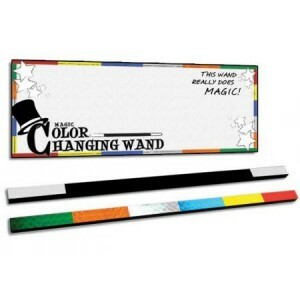 Then, you the performer, gives the wand a little shake making the entire wand turn into multiple colors! 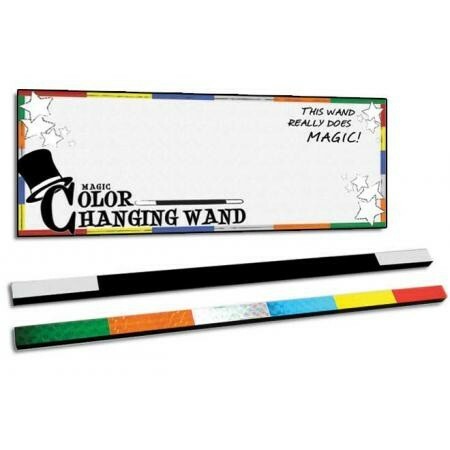 Many great effects can be used with this amazing wand!